Our fourth cohort is launching this month! Each “circle,” which consists of six participants and one mentor, meets on a monthly basis for six months. Meetings include topics around building trust; leadership communication and its impact; asking tough questions; emotional self-awareness; and assessing, reflecting and prioritizing various aspects of life (e.g. family, community, work, religion, money, health, and personal growth). In addition to the assigned content, the peer coaching portion is historically encouraging and inspiring for many on a leadership track. 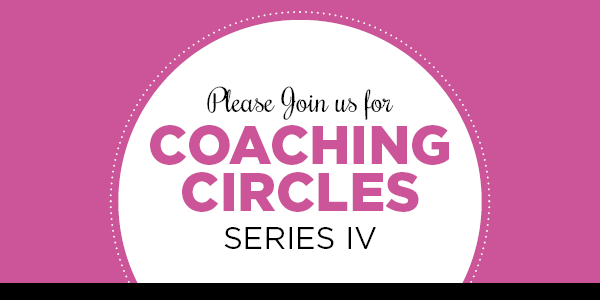 Coaching Circles was created in partnership with Jennifer Cohen, Senior Vice President/Practice Lead of Leadership Development at Ratliff & Taylor. Jennifer’s vision and professional skill set has enabled us to connect, grow, learn, and advance leadership related to a career, community volunteerism, or work/life balance, all to identify ways we can enhance our engagement and involvement – today and in the future. This year’s Coaching Circles has been enhanced by the vision and expertise of current Women’s Leadership Development Chair, Mara Kamat. Special thanks to our 2019 Coaching Circles mentors: Cheryl Davis, Leslie Dunn, Amy Einhorn, Sharon Rosenbaum, Erica Starrfield, and Amy Wain. Registration for the 2019 series is currently full. For more information about joining the next series of Coaching Circles, contact Rebecca Sattin at rsattin@jcfcleve.org or 216-593-2873.